Photograph of Library of Congress main reading room. Reprinted CC © via Carol M. Highsmith. The LAII is extremely proud to share the news that Suzanne Schadl, an LAS alumna and former faculty affiliate, has been appointed to lead the Hispanic Division of the Library of Congress (LOC). Below is the LOC's press release announcing her position, "Library of Congress Appoints New Chief of the Hispanic Division." We wish Suzanne all the best in this new endeavor. The Library of Congress appointed Suzanne Schadl, academic expert in Latin American studies, as chief of the Hispanic Division. Schadl has more than 16 years of teaching and library experience. Schadl was curator of the Latin American collections at The University of New Mexico (2008-2018), where she managed Latin American, Iberian and U.S. Latino acquisitions, related library instruction and community outreach. Prior to this work, Schadl was director of the Gerald and Betty Ford Library at The Bosque School, assistant professor of history at Roanoke College and lecturer in history at the University of Texas in Austin. “Given her many accomplishments, I am excited about the vision and energy Suzanne will bring to enhancing the public’s discovery and use of the Library’s collections, programs and services in the areas of Latin American, Iberian, Caribbean and U.S. Hispanic and Latino studies,” said Eugene Flanagan, director of the General and International Collections. Schadl’s interest in communication networks led her from historical research on obstetric and naturalist publications in 19thcentury Brazil to grant-funded library projects. These range from capturing Latin American tweets and translating electronic metadata to engaging diverse communities from the United States and Mexico with print, visual and tactile sources in Spanish, English and Indigenous languages. Schadl holds a doctorate in Latin American Studies from the University of New Mexico. She is active in the Seminar on the Acquisition of Latin American Library Materials, serving most recently as president. Also notable is her board participation at the National Hispanic Cultural Center (2014-2018) and the New Mexico Humanities Council (2016-2018). 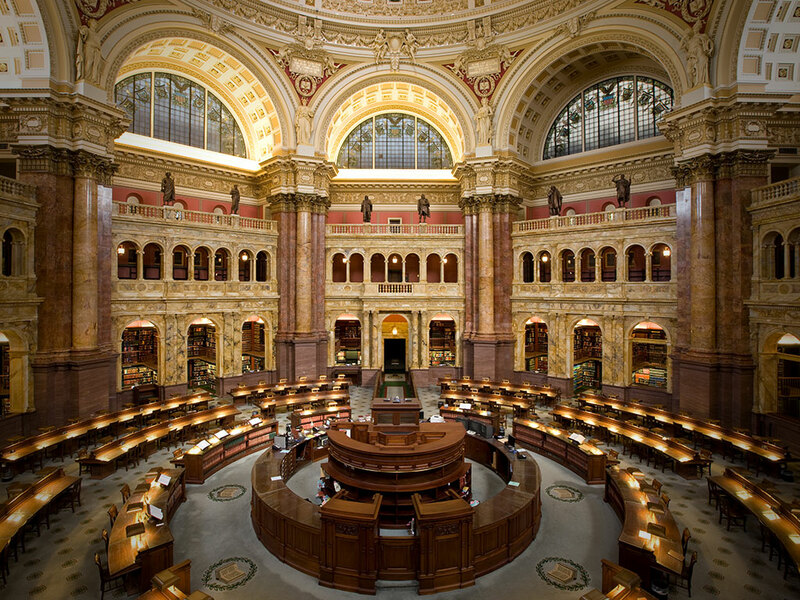 The Hispanic Reading Room, established in 1936, is the first international reading room of the Library of Congress and the center for Latin American, Iberian, Caribbean and US Hispanic and Latino Studies and related areas. The Division prepares the annual research tool “The Handbook of Latin American Studies,” available in print form and online. The Division also houses the Archived of Hispanic Literature. For more information, visit loc.gov/rr/hispanic/.